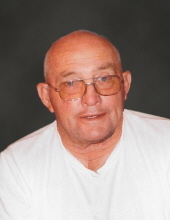 Barney Tabor, age 77, passed away February 5, 2019 at Eastland Memorial Hospital. Funeral services will be held at 2 pm, Saturday, February 9th at First Baptist Church of Moran with Pastor Jerry Shields officiating. Interment will follow in the Moran Cemetery under the direction of Morehart Mortuary. Visitation will be held from 5 p.m. to 7 p.m., Friday, February 8th at Morehart Mortuary of Albany. Barney was born in Gorman, Texas on June 10, 1941 to Boyd and Ruel Rice Tabor. He was raised in Moran, Texas and graduated from Moran High School in 1959. Barney served in the Army National Guard for six years. He married Karla (Nena) Bickley on July 1, 1966. Barney worked as a technician for oil and gas companies for 40 years. He also farmed and ranched. Barney was a member of First Baptist Church, Moran where he served as a deacon for many years. He was preceded in death by his father, Boyd Tabor. He is survived by his wife, Nena Tabor of Moran; his mother, Ruel Tabor of Moran; his twin daughters, Gay Williams of Moran, Kay Shields and husband Jerry of Colorado City; his beloved grandsons, Caleb Shields, Clayton Shields, and Rob Williams. "Email Address" would like to share the life celebration of Barney Tabor. Click on the "link" to go to share a favorite memory or leave a condolence message for the family.